A new multi-million funding pledge to upgrade a Highland harbour near the Dounreay nuclear site could bring a profits windfall to the area. The Nuclear Decommissioning Authority (NDA) announced yesterday it will provide £5 million investment to upgrade Scrabster Harbour in Thurso. The investment will look to improve capacity for vessels working in the oil and gas sector and increase the sites ability to receive cruise ships. 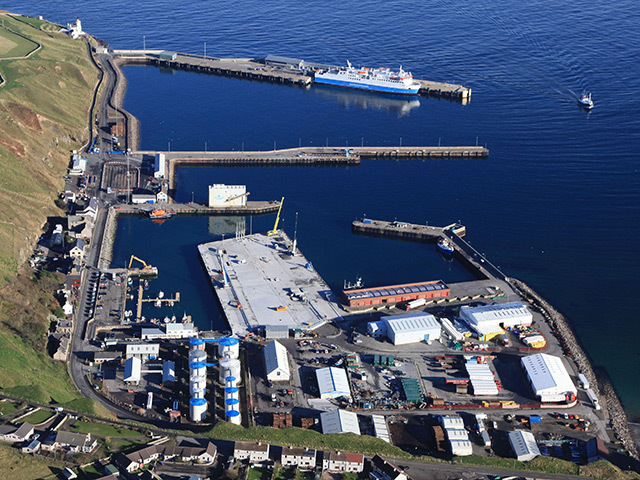 According to the NDA, the programme of improvements – worth £17m in total – could increase revenues for Scrabster Harbour by more than £210,000 over five years. The NDA also said the improvement work is “likely” to create up to 50 new jobs. NDA chief executive, David Peattie, said: “Supporting the communities around our sites is a fundamental part of the NDA’s mission to clean up the UK’s nuclear legacy. As the UK’s most northerly port, Scrabster Harbour provides support for the oil and gas and renewable energy sectors, while also a vital ferry link to Orkney. The port is also essential to the local fishing industry. Work will include dredging, to increase the depth of the water, and modifications to the pier itself – meaning larger vessels are able berth at the pier. Sandy Mackie, Scrabster Harbour Trust chief executive, said: “This is a tremendous vote of confidence in our project. The chairman of the Caithness and North Sutherland Regeneration Partnership, Ian Ross, said the investment was essential to help the region sever its “dependence” on Dounreay nuclear site. He added that the news “will reinforce the importance of marine activities in the region.